Already registered? Please login at the top of the page. 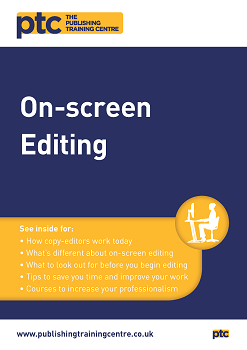 To complement our Editing in Word course, this free guide to on-screen editing gives you lots of tips for preparing for an on-screen copy-edit, as well as what you should know to save time and improve your work and its value.